Thank You for Contacting Tibet Travel Expert Service! Thank you so much for contacting https://www.tibettravelexpert.com! Your Tibet travel consultant will answer you with solution very soon. In most cases you get quick solutions in one day. Should you have any urgent questions, please give us a call by 86 18080158435 or add our wechat: “TibetTravelExpert”Please do check your email box and add our email domain (tibettravelexpert.com) and email address [email protected] to your non-spam folder. 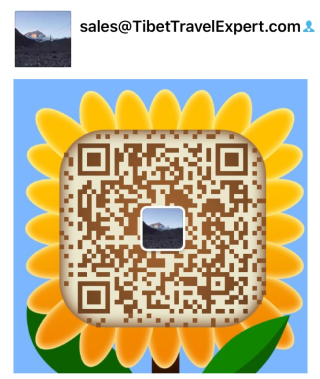 You can scan the Wechat QR codes as in the right picture and stay in touch with our manager Mr. Tony instantly. Thank you again!